The 1969 Chevy Impala is a gem and, if I owned one, I wouldn’t have the slightest intention of letting someone drive it without me around, save maybe for my mother. For whatever reason, a Michigan man felt differently and, while trying to sell the car to a prospective buyer on Craigslist, let the individual take it for a test ride. Alone. You know what happened. The resident said he listed the vehicle for sale on the website when he got connected with the suspect. The man showed up to the victim’s home Aug. 11 to look at the vehicle, and asked if he could test drive it for a day or two. He then took the vehicle, saying he would take it to a shop to have it looked at and would return the vehicle. The suspect did not return with the vehicle, and the victim had not been able to get a hold of the suspect. He tried a phone number and went looking for the man’s card, but could not locate it. Ack! Why! Why’d you let this person out of your sight! Don’t do this. We have plenty of helpful explainers to show you how to go about a Craigslist sale. Read those, please. The suspect is reported to be a mid-30s male with short brown hair, a medium build, and clean shaven. 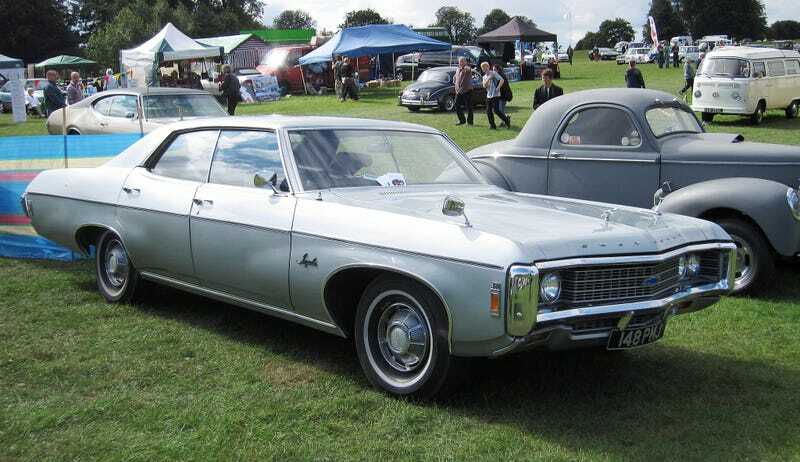 The Impala is green, and has a black vinyl top, according to hometownlife.com. If you’re in the Detroit area, and manage to spot the car, police in the City of Livonia can be contacted at 734-466-2470.